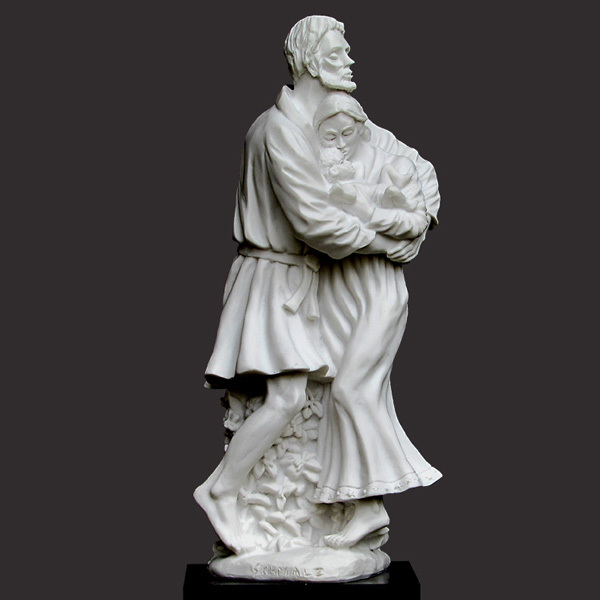 Standing Holy Family is a Christian sculpture by master artist Timothy P. Schmalz. In it Joseph is shown in a protective and loving embrace of Mary gently kissing the infant Jesus while standing over a cascade of lilies, the Christian symbol of purity and peace. Material - Resin Stone (Carrara White) mounted on a solid black matt base.